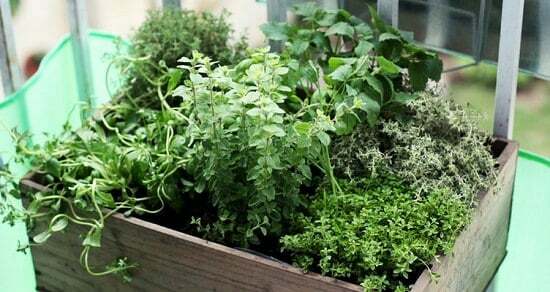 Make a balcony herb garden as herbs are easy to grow anywhere and a limited space balcony or terrace is no exception. Herbs do not require special treatment – apart from regular watering. 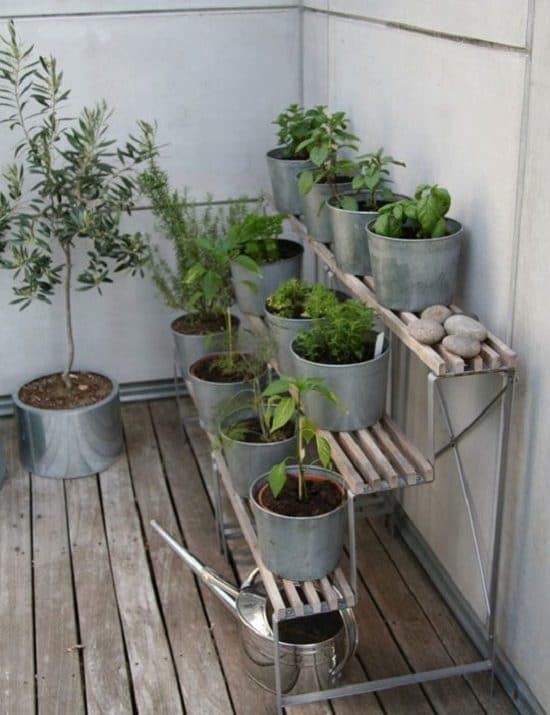 If you own a small balcony, put a few pots in it and grow herbs. You can grow practically any herb you want to grow. However, it depends on sunlight, space and weather. Fortunately, most known and popular herbs are well suited for herb garden on balcony. Some of the annual herbs are – basil, fennel, dill, cilantro, marjoram, parsley, chive and perennials like – oregano, lavender, sage, thyme, mint and rosemary grow well. You can also grow some exotic herbs like betel leaf plant, curry plant, and fenugreek in your balcony. Pots for a balcony herb garden should be according to the space available. Choose large wooden planters, chests and crates, these are cheap and wide and you can grow lot of herbs with similar requirements together in them – this greatly simplifies subsequent care. Herbs can also be grown in small pots, best are clay pots as they are more natural. Plastic pots can be used too for the flexibility of their uses, they’re light and you can move and hang them anywhere easily. Whereas, ceramic planters look pretty. Mostly it all depends on whatever resources you have and the size of your balcony. After selecting pots comes time to buy a suitable substrate/potting soil for growing herbs. For this, use a substrate you use for growing vegetables. 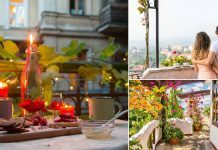 How and When to Plant Herbs on the Balcony? The simplest and quickest method for obtaining plants is to buy a “ready-made” herbs in pots. 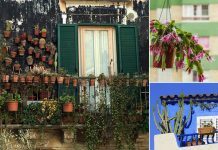 Buy them from a garden center and not from the supermarket, because herbs from the garden center are more robust and capable of growing outside on balcony. Rotate your plants according to the season. 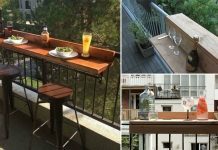 Usually the temperature of an urban balcony remains warm and if you do not live in a really cold climate, you can grow herbs year round. You need to care your plants more in winter to save them from freezing temperatures. You can buy a small greenhouse for this or make your own. If you live in warm tropics you need to care more in scorching summer, keep your plants in shade and water them more to save them. Herbs in the garden have plenty of room to grow but in pots you have very limited space, so it is very important to plant smartly. *Strong and vigorously growing herbs like mint, oregano and sage requires plenty of space. Do not plant them near sensitive and low growing herbs like basil, marjoram and rosemary, which could be drowned out. If you own a spacious balcony or terrace, certainly you find a place to grow herbs and create a “real” herb garden in a large chest of drawers. But, remember that such a large chest filled with soil can be very heavy to move and heavy rains could spill out the mud from it, especially on roofless terrace. 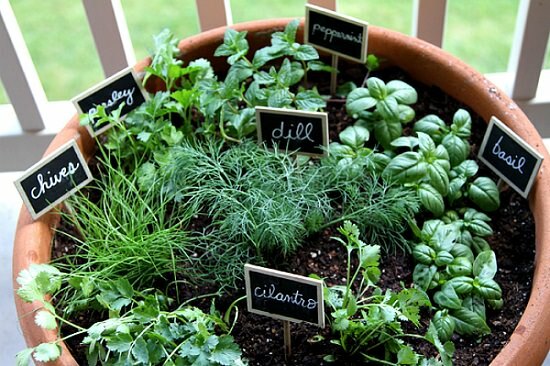 Whereas, growing herbs in small pots gives you an option to transfer containers during a storm or rain. The sun and wind dry out pots quickly, so a balcony garden needs more frequent watering than a regular garden. Especially the balconies facing south. Although, herbs are tolerant to temporary shortages and excess of water in the soil, but herbs growing in pots are more sensitive to dry and waterlogged soil and to remit this, do regular watering and choose pots of large openings from bottom, through which excess water can drain freely and easily. Potted plants need more fertilization than those grow on grounds but one benefit is that you don’t need to fertilize frequently like you do in regular garden. 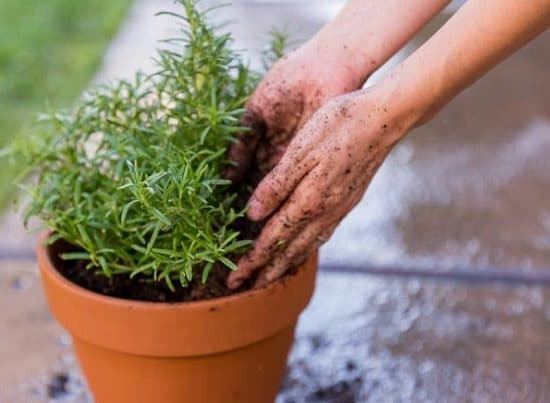 Use slow release natural fertilizers in your balcony herb garden, spread them once or twice in a year and your plants will get enough nutrition gradually. In addition to that, use of organic matters, manure and compost is recommended as to introduce beneficial microorganisms and micro-nutrients in soil. Herbs must be regularly pinched and pruned to accelerate the growth of new dense foliage and prevent the establishment of the seed. But trim your plants only on sunny days, before noon. You also need to cut the blooms with the help of scissor or a sharp knife to prevent seeds from forming. V nice post on herbs, it seems easy to grow my own herbs now. Some very good information in the article but the title is misleading. It is anything but complete. There are lots of items covered in generalities that are not sufficiently informative on their own but need additional investigation by the reader. For example, your advice on pruning is very incomplete, and the proper method of harvesting basil is very different from chives. Your guidance on growing year round also varies greatly with location. Additionally, the hardiness of plants varies both among species and variants. Someone new to herbs may well think Rosemary is one plant and Basil is another but have no idea that there are temperature ranges for Rosemary that vary to being quite winter hardy into freezing temperatures while others have problems once the temperature drops below forty. Basil comes in both upright and prostrate varieties, and just like tarragon, not all variants are culinary. If you are in a humid area, lavender will be extremely difficult to grow, but lavenden, or “French lavender” can do quite well. For anyone trying to grow herbs, balcony, in pots, in the garden, or wherever there are a few basic recommendations I would pass along. 1. The Herb Society of America has a web page, portions of which are open to non-members and is an excellent source of information. They can also advise you as to whether there are any HSA chapters, or Members at Large in their area who would also be good sources of information. 3. It is true as the article stated that herbs in pots need more water than those in beds, but at the same time, overwatering kills more herbs than anything else I’ve seen. Combine that with improper soil mixture and you have a guaranteed recipe for failure. 4. It is worth spending some additional time online or in the library doing research on growing conditions in your area and plants that will do well in your growing zone.